A research conducted by Pew Research Center just confirmed what we already know. About 90 percent of Americans have cellphones with 44 percent who sleep with their phones close to them for fear of missing a call or text. Ever since the early 2000-era, we’ve been amassing a good number of mobile devices. Before we know it, we have a lot of chargers and cords than we can handle. It’s so easy to just shove them away in a drawer or cabinet. But we can do better than that. Check out these clever and convenient storage options for those on-the-go and for those who simply want to live clutter-free. One of the most important things to consider when you are taking mobile devices with you is how you are going to organize them on the road. If you want to have an easy experience, then it will be beneficial to be able to store your different mobile devices in the car. Owning one of these car side door organizers can make things a lot easier on you. If you buy one of these, then you will be able to store many of your mobile devices right in the side of your car door. You will be able to potentially store your cellphone, as well as your tablet, inside of the car side door organizer. It fits things very nicely, and you can feel like your mobile devices are secure while they are stored in this accessory. There is a mount for your smartphone that is built right into the side door organizer. You can place your phone on the mount so that it is completely secure, and you will have access to it when necessary. This car side door organizer also comes with handy USB ports. This will make charging your devices simpler, and you’ll never have to feel like you are going to run out of power. Even more conveniently, the charging ports on this car side door organizer are smart. They are capable of determining whether you are plugging in an Android device or an iOS device and can then output optimally to charge your specific device. Installing the side car door organizer is simple, too, as it really just slides into place. You won’t have to spend an inordinate amount of time trying to figure out how to get this to work. This will work great for both front and rear seats. Many people who own sedans like to purchase this particular car side door organizer, but there are other solutions on the market that will work great for other vehicle types, as well. 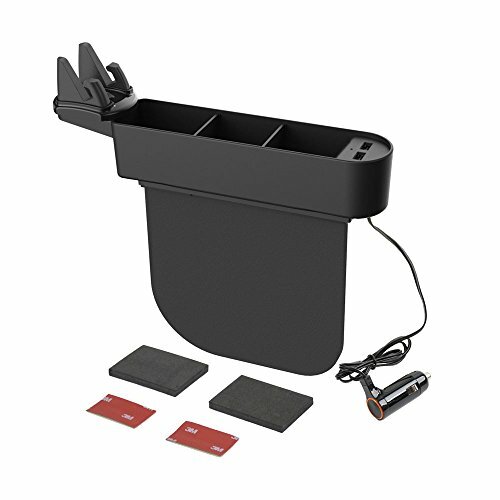 The car center console organizer isn’t too different from the car side door organizer. As you might imagine, this is a mobile device storage solution for your center console. You will be able to install this organizer directly into the center console of your car. It will make it much more convenient for you to store your mobile devices properly, and it should work out nicely overall. 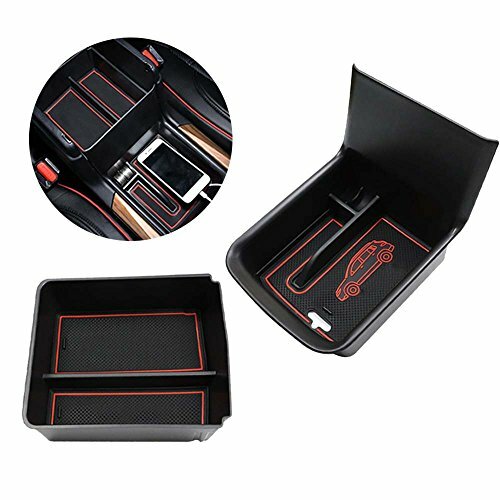 There is plenty of space inside of these car center console organizers. You can put your mobile phone inside it and will also be able to store most tablets. Devices such as laptops will generally be too large to fit inside of a car center console organizer, though. Regardless, this is a handy organizational solution to have access to. The material that this car center console organizer is made out of is perfect for using in your car. It is heat-resistant and will not get too hot to touch. This plastic material also doesn’t smell, making it a very good purchase. You’ll be able to clean it quite easily if you ever happen to spill anything inside of it, as well. Many people use these car center console organizers for storing more than just mobile devices. They can be useful for storing coins and other important items. Those who have to pay tolls on their daily commutes need to have quick access to spare change in order to continue their journey. You’ll be happy to own this type of car center console organizer if you’re familiar with that situation. Owning a dedicated cabinet to store your mobile devices may seem a bit odd at first. When you think about it, you do need somewhere to put your mobile devices when you are at home. Buying a cabinet like this can give you a piece of furniture that will help you solve many problems. You will be able to store your mobile devices in this cabinet and can also use it to store other important things. This cabinet is really nice overall. It looks like a traditional cabinet that you would make use of in your bedroom or another area of your home. It can function pretty much the same as any other cabinet that you have at your house, except it has an extra feature. This cabinet comes with a handy charging station. Having a charging station built into the cabinet itself allows you to conveniently charge your mobile devices. You won’t have to worry about messing around with tangled wires that will get in the way. This solution allows you to keep things nice and neat while charging up your important devices. Charging your phones and your tablets will be very simple when you own this cabinet. The overall convenience of this cabinet lends itself well to being situated near your bed. It’s a good spot to place and store your mobile devices at night when you are ready to go to sleep. It looks nice and it functions really well. Furniture items with convenient features like this are becoming more popular, so you will want to consider whether this will be useful to you. People need to be able to take their laptop computers with them when they are traveling, as well. If you work with your laptop on a daily basis, then it will be a regular part of your commute. You’ll sometimes need to be able to work while you are riding in the car, too. Being able to position your laptop properly while you are riding in a car can be tricky without the right tools. Thankfully, there is a car laptop holder on the market that will work very nicely. This handy accessory allows you to place your laptop on a tray where it can then be secured. You will be able to use it to work and check your emails while you are commuting to work. There are some models that are even designed to be used while people are driving, but this is somewhat dangerous, and you may want to stick to using this solution as a passenger. Those who carpool to work will get a lot of use out of items like this one. Installing the car laptop holder is decidedly simple, and making use of it is convenient. People usually use these trays as places to hold their food when they are eating, as well. If you have a long commute to work, then owning one of these car laptop holder trays is going to be essential. It even comes with a convenient drink holder. You’ll find multiple uses for this and will wind up using it regularly. It can fold up to be conveniently stored away, as well. Many people simply put it in the back seat of their car when it is not in use. This is a cost-effective accessory that is worth your consideration. A cell phone charging station is among the most common types of storage and organizational items for mobile devices. Your mobile devices are going to need to be charged somewhat frequently. In order for everything to go smoothly, you will want to have a convenient option where you can charge your device quickly. Owning a cell phone charging station works nicely because it can keep things organized while you are charging the phone. 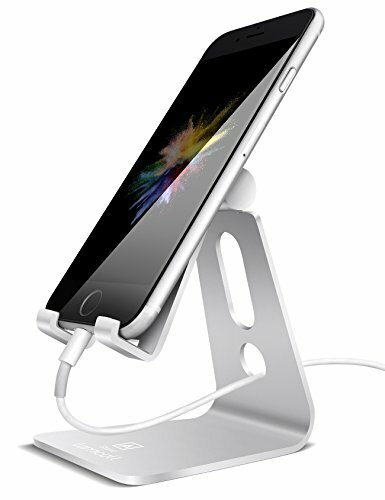 A good cell phone charging station is going to be able to fit on any desk or cabinet with ease. You simply plug the charging station into the wall and then use it to charge your phone. You’ll be able to find these types of charging docks for other devices, as well. Charging stations for tablets are readily available on the market, so simply purchase the station that works the best for your preferred mobile device. This charging station here is going to be able to hold your phone very snugly. It has an elegant look to it that will appear natural in your room. Some people even buy multiple charging stations in order to be able to throw their phone on the charger whenever they need to. It creates an easy to use space that will charge your phone in a timely fashion. The station being shown here is meant for use with a single phone. It is compatible with any type of modern cell phone on the market. You will be able to use this accessory effectively, and it will be adjustable for when you need to change the angle. People often dock their phones on the charging station when they are doing video calls. It is also possible to purchase a charging station organizer that will house multiple mobile devices. The idea behind this charging station organizer is really similar to the charging station above. The biggest difference is that there are multiple ports for your charging cable and several slots where you can position different mobile devices. Owning a product like this helps you to keep your desk from becoming too cluttered with multiple devices strewn about. This will be easy to use overall and features five different charging ports. You can comfortably fit several mobile phones in this organizer, as well as several tablets. For those who have multiple devices to store and charge, this charging station organizer is going to see a lot of use. This charging station organizer does not come with extra cords for charging your devices. You are meant to use the charging cables that came with your mobile devices. In order for the devices to charge in the safest way possible, it is always recommended to use the original cords. It will be easy to get things set up though, and you can purchase extra cords if you want to leave things ready to plug in at all times. The nature of this device means that it will be compatible with the various different types of cell phones on the market. You won’t have to worry about whether or not it will work with your smartphone, so long as you have a modern model that has a USB charger. Buying one of these for your work desk is going to be quite beneficial. It will allow things to look organized and professional at all times while you are charging your devices. You can also purchase travel cases for your different mobile devices. The travel case that is being shown here is perfect for your cell phone. 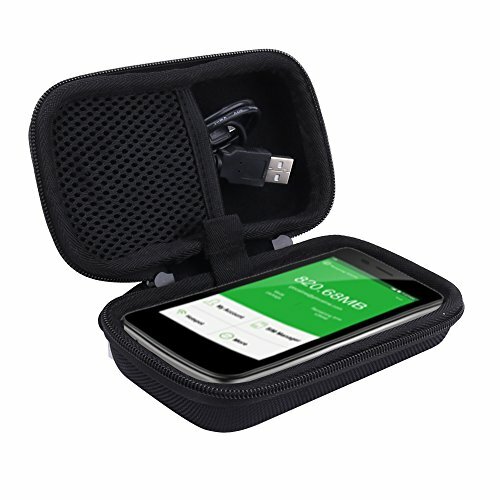 You’ll be able to store the phone inside of this travel case to keep it safe while you are traveling. It will be protected against impacts, and you’ll have convenient access to it whenever you need it. There are several different types of travel cases on the market. Many of them are designed for smartphones since those are the most commonly used mobile devices in modern times. You will also see travel cases for tablets and even laptops. Mobile video games also have travel cases that are meant to keep them safe while you’re on the go. Video games aren’t always the first thing that people think about when the topic of mobile devices is brought up, but they are quite prevalent. Many people take video game systems with them to the airport and other locations. They use them to help pass the time, and it is important to keep these sensitive devices safe when you are traveling. Travel cases for video games are quite common and can be purchased just about anywhere that video games are sold. Sometimes these travel cases come with extra compartments, as well. This can be useful when you need to store extra charging cables or other types of accessories. They are usually made out of a heavy-duty nylon material, but you will also find hard plastic cases that act like shells. Purchase whatever type of travel case is going to work the best for your favorite mobile device. Keeping your laptop organized while you are on the go is essential. Many professionals and students have chosen to purchase laptop backpacks to make things a bit easier. When your backpack is an important part of your daily routine, it is good to place it in a safe backpack that will get it where it needs to be without being harmed. Laptop backpacks are designed to fit a laptop snugly and safely. You should be able to use a laptop backpack to carry other things as well. Students often carry both their books and their laptops using these types of backpacks. You’ll find them at college campuses very often and they’re seen as a necessity among many people. Most people want to purchase a backpack that is spacious while remaining fairly stylish. The backpack being shown here has a good professional look that most people will enjoy. It is capable of holding up to a sixteen-inch laptop comfortably. You should do your best to buy a laptop backpack that is specifically meant for the size of a laptop that you have. The size in inches refers to the dimensions of your laptop screen. Some laptops can be bulkier than others, though. Most modern laptops are quite thin and should easily fit into these backpacks. Just be sure to check things out before you make a purchasing decision. You want to have the best experience possible and should never try to fit a larger laptop into a backpack that is a bit too small for it. Of course, there are many professionals who still carry briefcases around to meetings. 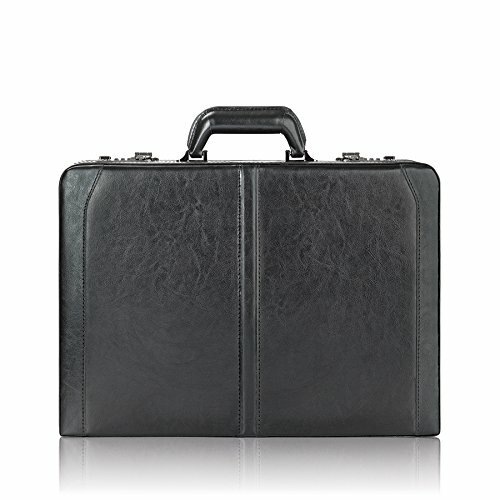 Businessmen and businesswomen often carry briefcases around with them to meetings. These briefcases can work as convenient mobile device storage options for those who use them. There is no reason that you can’t fit a tablet or your smartphone inside of your briefcase while you are on a flight. A good briefcase is going to keep your mobile devices protected while looking very stylish. There are many types of briefcases on the market, so it should be easy to find one that suits your personal sense of style. You will be able to peruse many options and buy the one that appeals to you the most. This briefcase here has proven to be very popular among young professionals. It has a very traditional look that is exactly what you would think of when someone mentions a briefcase. There is an interior section of the briefcase where you can organize files, and fitting your mobile device in there shouldn’t be a problem, either. There is a compartment inside of this briefcase that is specifically meant for laptops. It is padded to protect the laptop and will fit the most popular laptop sizes. You will also be able to keep your belongings safe because of the lock that is on this briefcase. This briefcase has a combination lock that means that only you will be able to get inside of it. When you have sensitive materials that you want to keep away from prying eyes, it is imperative to protect it to the best of your abilities. This briefcase will allow you to do just that while storing your important mobile devices. This is a bit of a novelty, but it is still something that many people will enjoy owning. If you are the type of person who owns several pieces of jewelry, then you may need a jewelry box to keep your items safe. You will actually be able to combine the functions of a jewelry box and a phone organizer if you so choose. This allows you to store and charge your phone while having a convenient place to store your jewelry. There is a simple compartment where your phone can be stored. Your charging cable can fit in there so that your phone can charge while it is placed inside. You will also be able to enjoy several jewelry compartments. This will allow you to store all of your rings, necklaces, and other important types of jewelry. 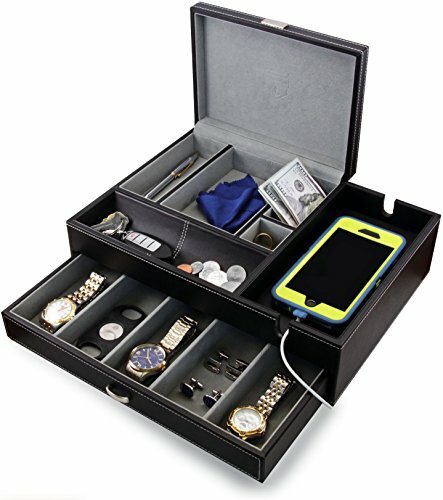 This phone organizer and jewelry box are actually being marketed towards men. There are options out there that have more feminine qualities that will appeal to women, as well. This unit is made out of a faux suede that looks very luxurious. Despite the upscale look, it isn’t exorbitantly priced or anything. People often use this convenient organizer to store their pocket money and car keys, too. It is a good safe spot to place things at the end of a long day. You will be able to keep things organized, and it will look nice in your bedroom. This is an aesthetically appealing organization accessory that you may want to purchase. Owning one of these magnetic car mounts for your cell phone is really going to come in handy. Most people use their cellphones for multiple purposes in the modern era. One of the most common uses for a cellphone while driving is as a GPS. In order to be able to tell where you are going, you will want to be able to see the GPS map. It can be somewhat dangerous to have to reach down to grab your phone to check on where your next turn is going to be. 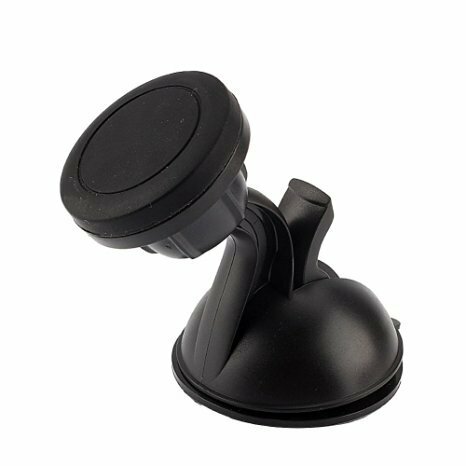 If you have your phone mounted on the magnetic car mount, then you will simply be able to look to the right and see a visual representation of where you are. It will be easy to see when your turn is coming up, and your driving experience will be much safer overall. This type of organizing tool is very important when you do a lot of traveling by car for your job. Some car mounts will come with clamps that will hold your phone into place. This solution is much more elegant and easy to use. The magnets work swimmingly to hold your phone in the right position. You’ll never have to worry about it falling, and it will always stay in the right spot where you can see the screen. Luckily, this magnetic car mount is very cost-effective. It isn’t going to cost you too much money to purchase one of these, and it will give you a place to put your phone whenever you are in the car. Charging the phone is simple as well since you can access the charging port with your normal auxiliary cable while it is mounted. Owning one of these car mounts is highly recommended, so seek one out today.